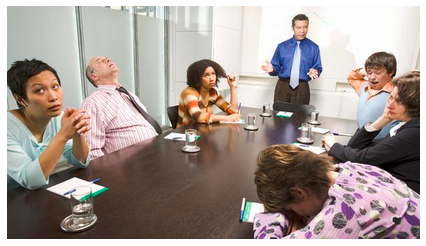 Is 11% of Your Employee Training "Unproductive Learning"? Is 11% of Your Employee Training “Unproductive Learning”? Leading advisory company CEB recently outlined its top 5 key HR priorities, and among the many smart ideas shared, one that caught our attention focused on the growing importance of teaching employees how to learn, not just what to learn. Corporate HR and Learning and Development teams today make significant investments in employee training initiatives — and yet according to CEB surveys, ‘nearly three in four line managers report employees with high learning participation still lack the right skills, and the extra learning activity creates a lot of waste’. Further, CEB reports that employees are spending around 11% of their time every day on what their own organizations consider to be unproductive learning. Having outlined the scale of the issue, the article suggests that the most effective companies will implement learning technologies which help staff develop better “learning behaviours,” rather than just encouraging them to consume more content. An increasing number of companies are, therefore, trying to foster more active engagement with L&D materials amongst staff to aid knowledge retention and encourage continuous learning. Accordingly, e-learning software designed to support these efforts has become more and more commonplace. But what are the most effective learning behaviors and how can they be effectively implemented? Many organizations are turning to the example set by universities and colleges for inspiration, studying how education institutions have embraced video to support the teaching and learning process. Recording training and educational content that might previously have been delivered just in a face-to-face setting can help learners consolidate their knowledge more effectively, absorb difficult concepts at their own pace and review key materials whenever needed. Video is also being used to introduce core concepts before formal instruction takes place so that face-to-face time can be refocused on gaining deeper understanding of a subject and practical applications of what has been learnt. Related Reading: How To Make Engaging Training Videos For Employees. Learning methodologies which began in the classroom are now filtering through to the boardroom. Many businesses are starting to see the similarities between their formal face-to-face training programmes and the structured learning that takes place in the university lecture or college seminar. HR and L&D professionals can see that the benefits students get from being able to watch course content back on demand are equally as applicable to staff who want to watch part of a training session they attended. Of course, the ability to watch the recording of a training session won’t address the issues called out in the CEB article on their own. But video learning software like Panopto can help create the right environment for better learning behaviors to flourish. For example, because a video platform allows staff to revisit recorded training materials when needed, trickier concepts can be mastered over time if they weren’t grasped initially. This flexibility means that more staff are better equipped to develop the right skills as a result of L&D initiatives. Panopto’s video platform also offers the best video search available on the market, meaning that our users are able to address the other issue identified by CEB – the time staff waste on unproductive learning. By enabling an employee to search for a keyword and taking them to the specific part of a recording where that keyword is spoken, shown on-screen, or included on a slide deck, you can dramatically reduce the amount of time it takes your people to get to the content they are trying to review. Leveraging video technology in employee training can be a simple, scalable step to ensuring that L&D initiatives result in real learning, and that give your staff greater opportunity to acquire new skills that positively impact business performance. To find out how Panopto can help your organization improve learning behaviours and boost business performance, contact our team for a free 30 day trial.